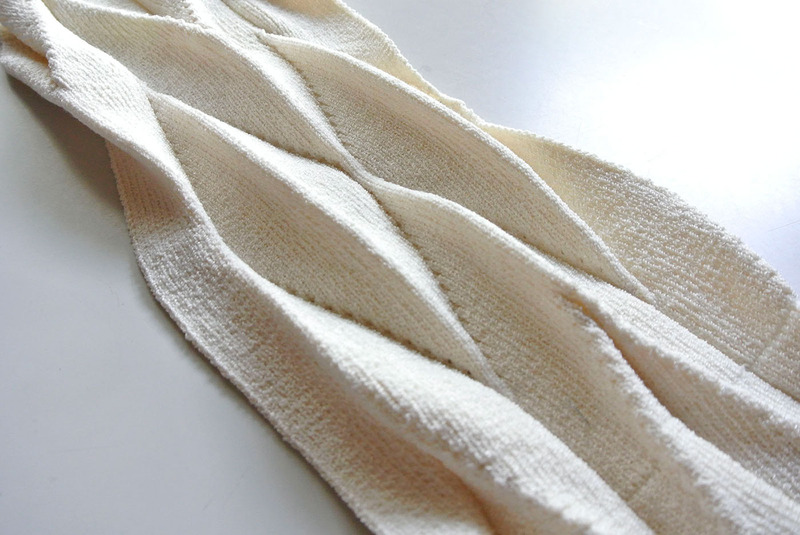 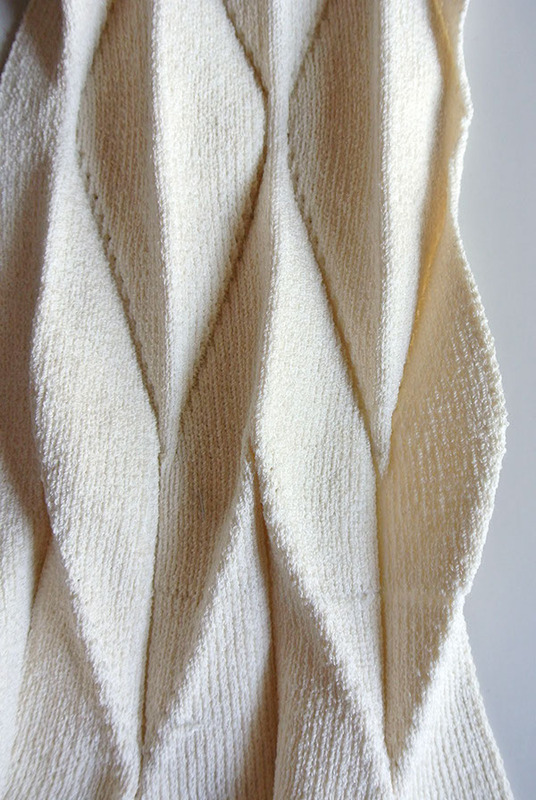 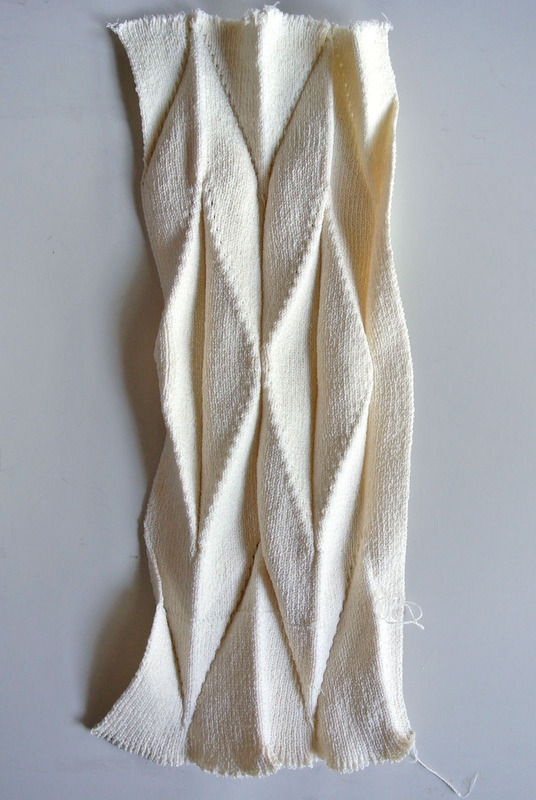 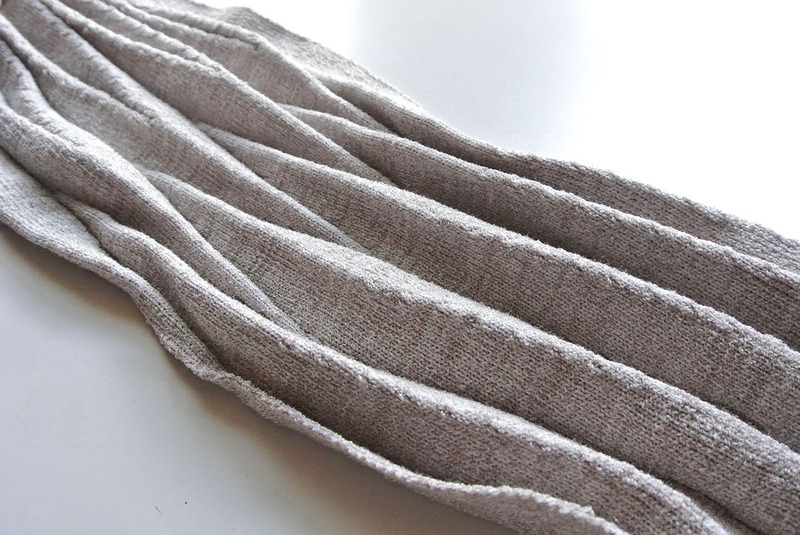 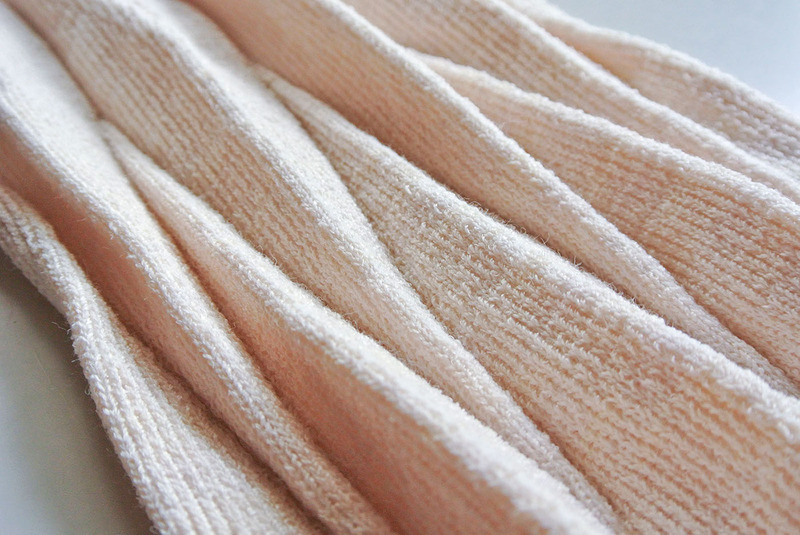 Using origami and paper folding techniques as inspiration, I am trying to create knit fabrics that can maintain a rigid, 3 dimensional form while also possessing the softness and stretch associated with knits. 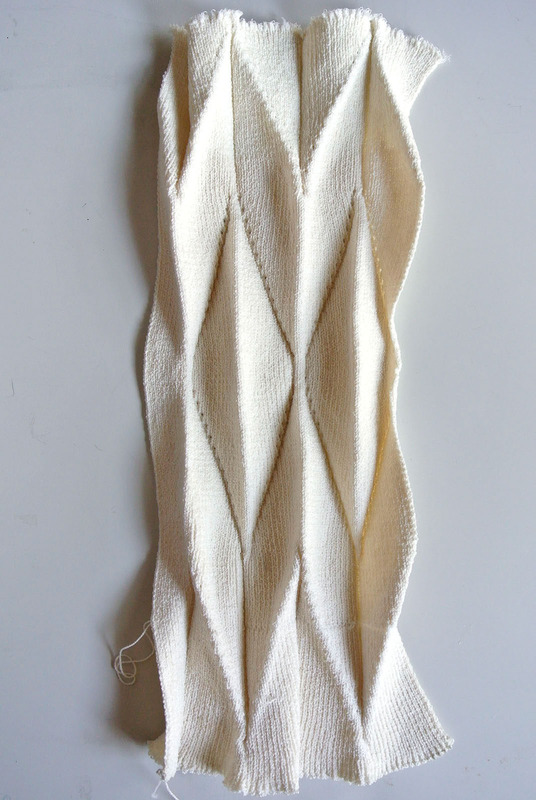 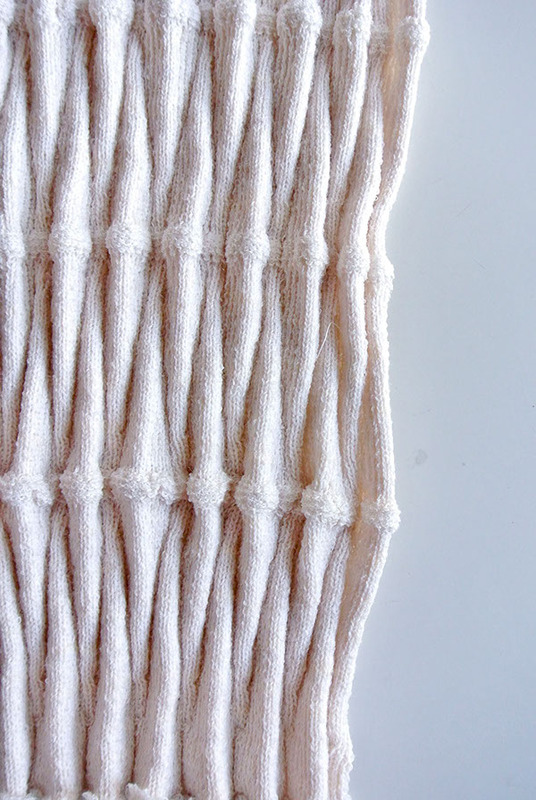 My research into this project has included an intense study of knit geometry and structure, knit programming, paper folding techniques, as well as an investigation of yarn properties. 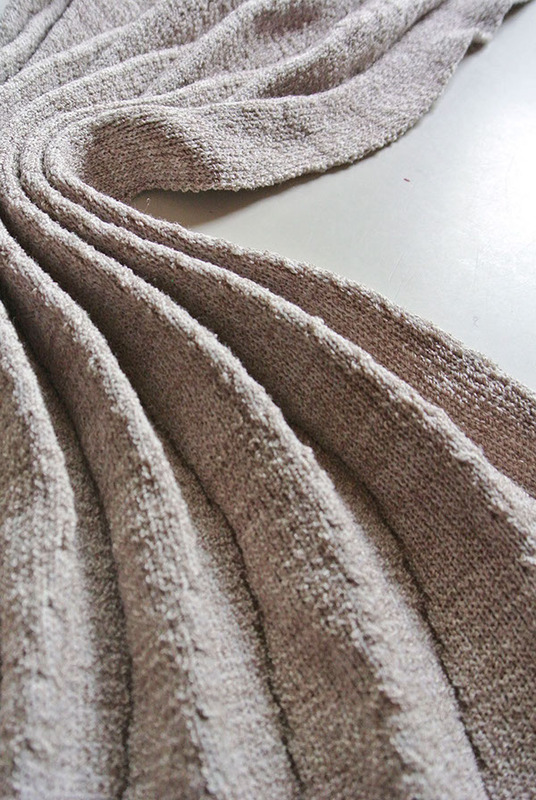 The fabrics I have developed so far are a careful combination of yarn and knit structure. 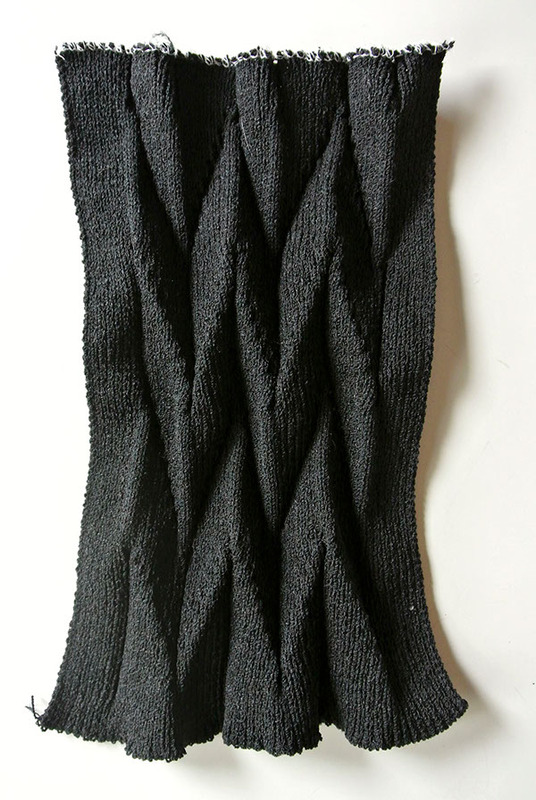 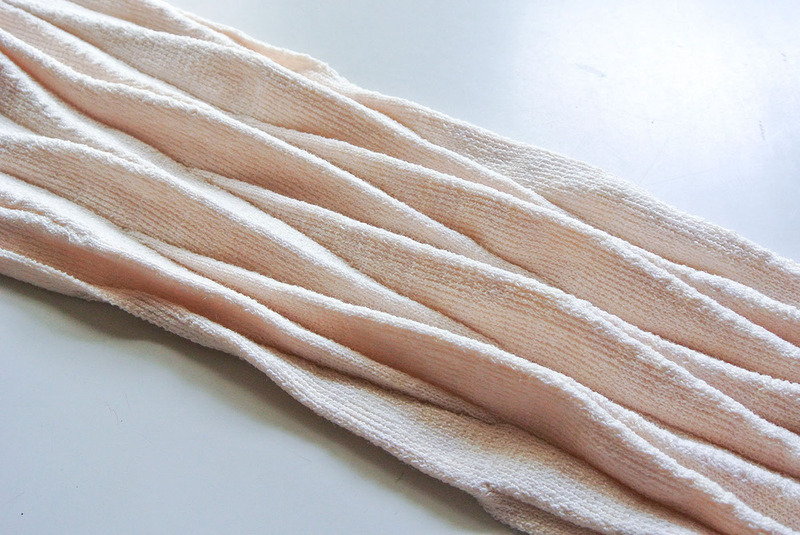 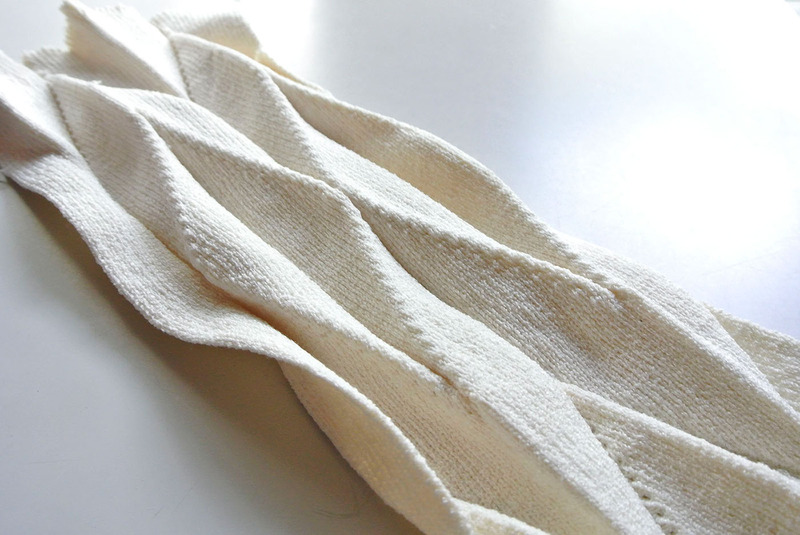 All fabrics are knit on Passap domestic machines or Shima Seiki computerized machines. 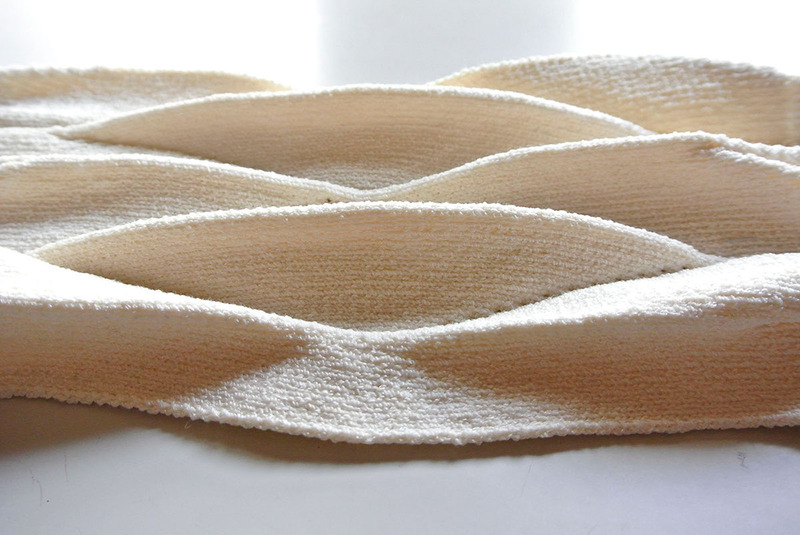 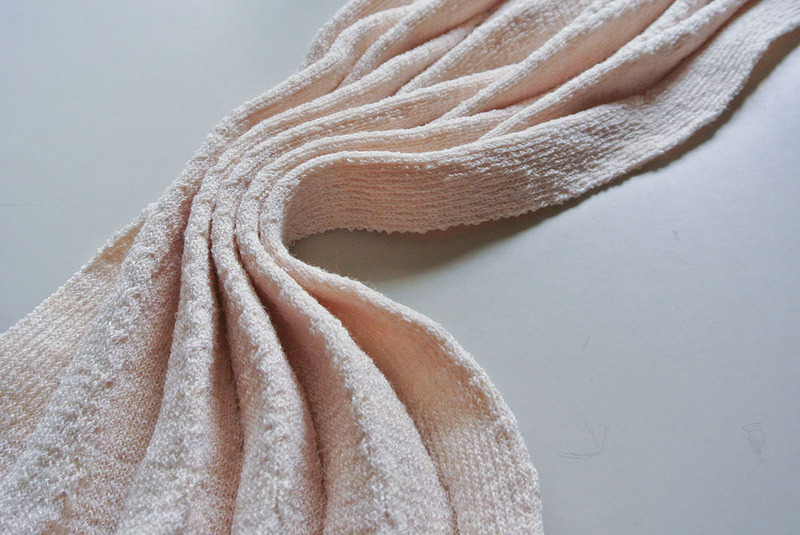 Work-in-progress of knit fabric development to create 3 dimensional geometric structures.